We’ve been too busy playing video games to finish a release for such a special day. 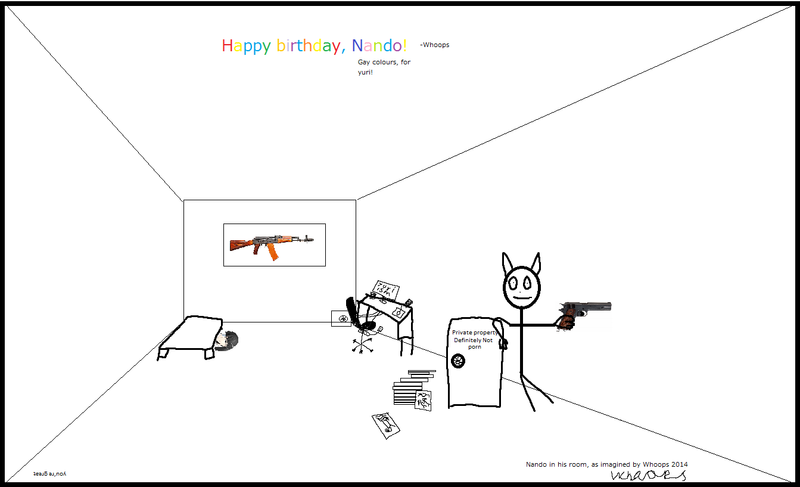 So I leave you with a comic drawn by our translator Almond. See you guys again on the 4th with some gay magical girls. Thanks to everyone that donated! We have reached our funding goal for the next year already. Since we got there so soon, maybe we should share our plans for Christmas. Every year at Yuri-ism we’ve had an xmas eve or xmas day release for you guys. But this year we’ve decided to take it a step further. We’re going to have 12 straight days of releases leading up to Xmas day. We’ll have mira, fox girls, butts, dancing girls, strike witches and more. Oh and we did finally get a new batch torrent up. You can get releases 300-400 here. We’ll do another fullsize batch 1-500 when it comes time. 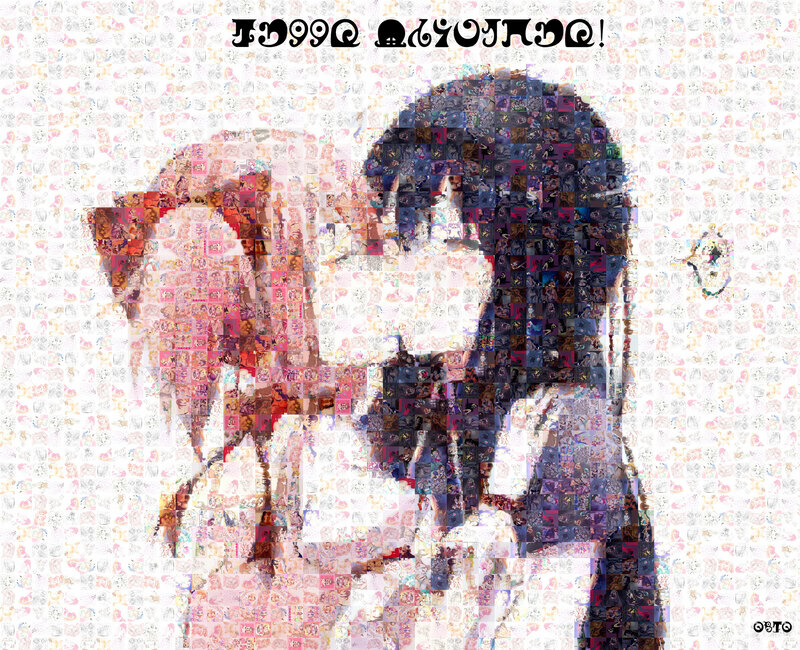 But for now, consider this a yuri-ism booster pack. Today is a special day in the land of yuritopia. 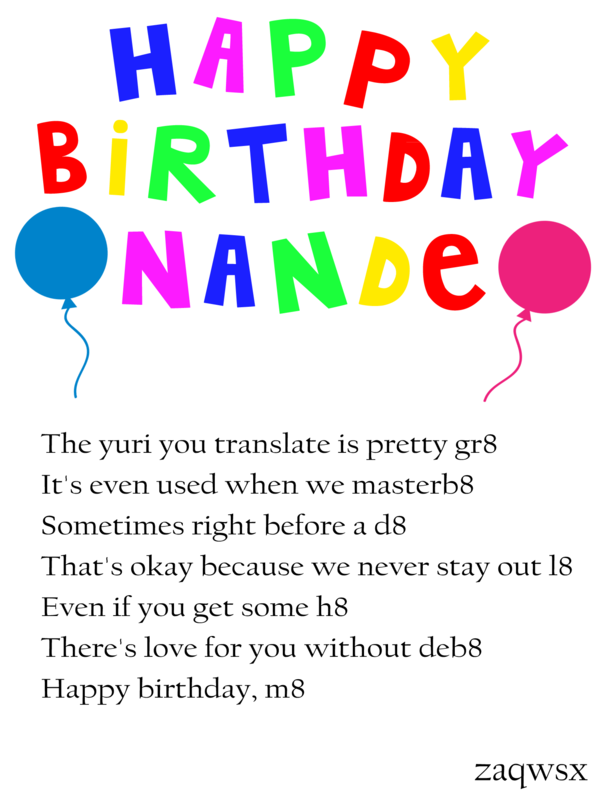 Nandeyanen, the co-founder of this group with me has his birthday today! It’s been over 2 years since we made this group together and he’s still going at max speed. Did you know he has translated over 400 doujins between yuri-ism/l4k and freelance projects? He also scans AND cleans almost all of yuri-ism’s doujins. He makes me look lazy, and to say this group would be nothing without him is a massive understatement. 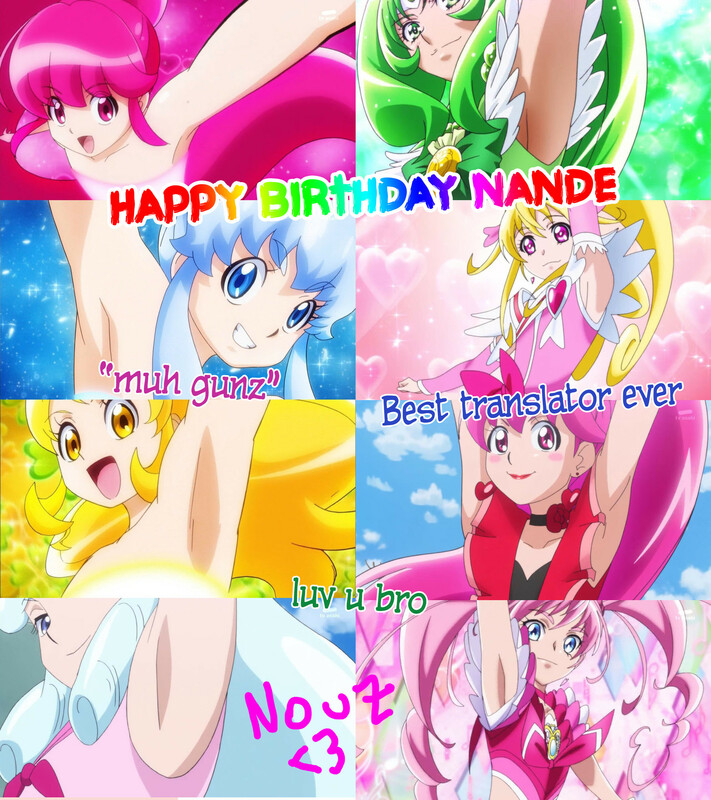 So cheers to Nande! You old fart. 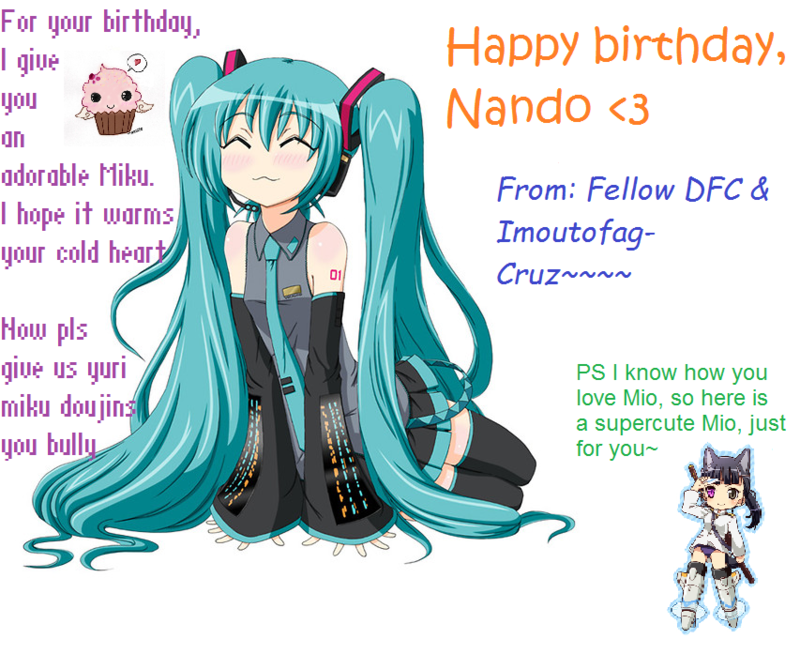 I decided to ask the denizens of our irc channel #yuri-ism to make you super special birthday cards. I hope you enjoy the top notch quality handicraft from us.